In 2004, Zach Braff’s Garden State rode into the film world like a hungover knight in shining armor. It’s an emblematic coming-of-age story, set in a world of young adults who have no idea how to be adults. Braff is ten years older now, and his latest film, Wish I Was Here, bears signs of his aging. When I spoke with Braff over the phone it became clear that Wish I Was Here is the work of someone comfortable in a new phase of their artistic career. “Of course, anytime you make a sophomoric effort in anything, people are going to compare it,” Braff said. Braff wrote the script with his brother, Adam, and the story is a mashup of their lives. Zach’s acting struggles and Adam’s family concerns are sprinkled throughout. It’s doubters like these that led Braff to a question that became a haunting inspiration for his film. 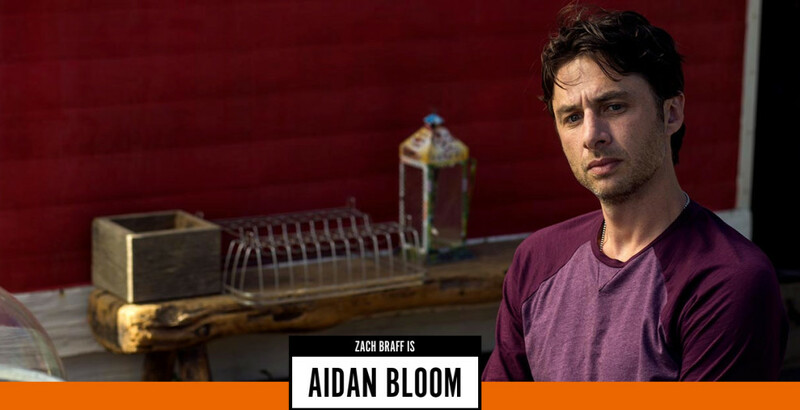 In the film, Braff’s character Aiden is a Schrödinger’s Cat of sorts, looking to Judaism to help him through crisis, despite not really having any faith. His searching doesn’t lead to clear answers, necessarily, but he comes closer. It’s a mature ambiguity Zach seems particularly comfortable with. “The character learns that he cannot clutch onto the exact, specific form of his dream so tightly, and that if he lets the clench of his fist go a little bit, and takes a step back, he can approach that dream from a new angle,” explains Braff. Not that he claims to be providing any sort of emotional roadmap. With that in mind, Braff launched a successful, if controversial Kickstarter campaign, which incidentally gave him much more freedom to put whatever he wanted in it. That means a film full of disagreeable rabbis, judgmental parents, and as much anxiety as Zach’s heart desired. Which isn’t to say he feels he’s out on a limb with this film. “If anyone’s going to appreciate this movie, it’s the readers of Heeb.” explains Braff.